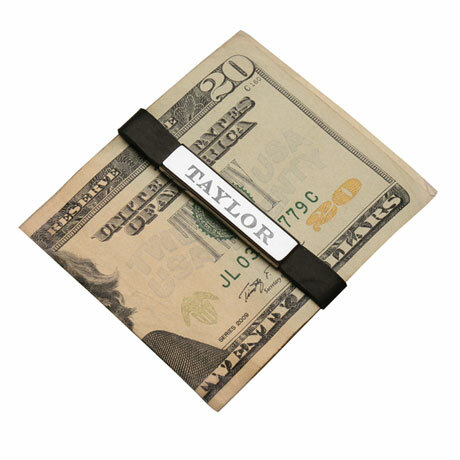 Many men (and some women) prefer a rubber money band to a wallet for carrying cash and credit cards. Engrave with the receiver's name or a phrase of your choosing (Mr. Moneybags? Bank of Dad?). Comes with two additional rubber replacement bands. Choose Sterling Silver or Stainless Steel. Specify up to 15 characters. Allow up to 2 weeks. Arrives gift boxed. Item can only be shipped within the Continental US.